The litany of Jeff Thomas’s achievements is unparalleled, and the mystique of his tremendous skill remains well-known to this day. His prodigious resume includes a 1993 victory in the U.S. Mid-Amateur Championship, eight New Jersey State Golf Association Amateur titles, two NJSGA Mid-Amateur crowns, the Metropolitan Golf Association Ike Championship, and a victory in the Sunnehanna Amateur Championship. Thomas also competed in ten U.S. Amateur Championships, five U.S. Public Links Championships (reaching the final match in 1996) and played in the 1994 Masters, earned by virtue of his 1993 U.S. Mid-Amateur triumph. On May 1, Thomas, a winner of over fifty career championships and three-time Metropolitan Golf Association Player of the Year, will be one of nine inductees into the New Jersey State Golf Association Hall of Fame. Undoubtedly one of the most talented amateurs of his generation, Thomas grew up in South Plainfield, New Jersey, where he played on the high school golf team. In 1976, at age 17, Thomas won the first of his eleven NJSGA Championships when he claimed the Junior Championship at Morris County Golf Club. He continued his career at Ramapo College where he earned All-America honors four times while leading Ramapo to the NCAA Division 3 National Title in 1982. The school also finished as runner-up in 1980 and 1983. The self-taught Thomas grew up playing at the Plainfield West Nine Golf Course, where his legendary career began. 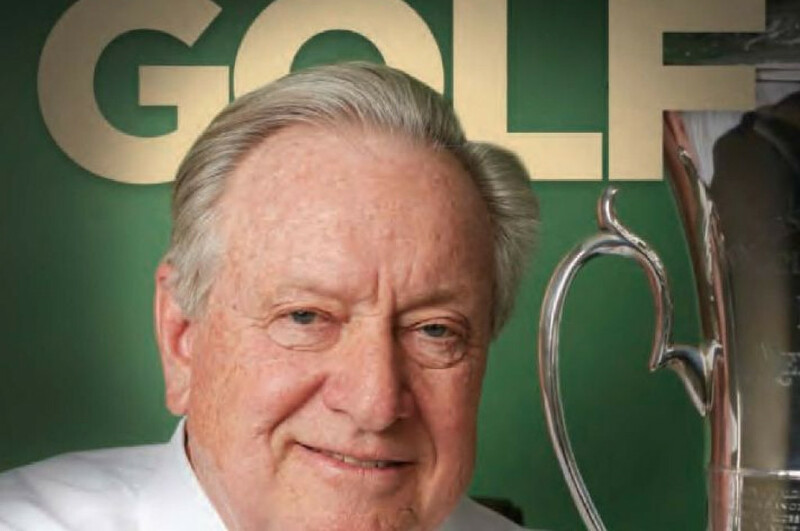 Ed Famula, the longtime PGA Professional at Plainfield West, remembers the greatness. “He was a natural golfer, no doubt about that. I saw him win a club championship wearing flip flops. He could shoot 31 or 32 over nine holes with borrowed clubs. “When I started at Plainfield West in 1981, I saw a lot of Jeff. He used to chip and putt a lot, and when he got the yips later on, he started to carry two putters – a short one for the long putts, and a long putter for the short putts. I never saw anybody else do that,” said Famula, a teaching professional at the Loxahatchee Club in Jupiter, Fla., for the past 27 years. Thomas’s close friend, Joe Falco, accompanied Thomas when he played in the 1994 Masters and had a longstanding, front-row seat to Thomas’s game. “What Jeff did was unprecedented. In golf it doesn’t happen, especially today, that a kid decides he wants to be a good golfer when he’s in high school, then wins numerous state championships, a national championship – and plays in the Masters,” Falco said. “I played a lot of golf with Jeff. He was gifted, ‘Mr. Natural’ I called him. He had the most unbelievable hands. He could hit every club in the bag. What was incredible about him was his ability in getting the ball up and down. He hit it straight off the tee. Jeff could hit a 2 or 3-iron like anybody would hit a 6 or 7-iron. It was low, and it would draw. For him, it was like shooting arrows, and he would be 15 feet from the hole every time,” Falco added. While still in college at Ramapo in 1981, Thomas would begin the most dominant era of any player in the NJSGA Amateur Championship. He won the first of eight NJSGA Amateur Championships in that season at Canoe Brook Country Club. The following year, he was the runner-up to Russell Helwig in the 1982 NJSGA Open Championship at Essex Fells Country Club. In the 1983 Amateur Championship at Plainfield Country Club, Thomas would storm back from six shots off the pace over the final 18 holes to win over Marty Vybihal. In 1985, the year of Thomas’s third NJSGA Amateur title, he would best co-runners up Jim Guerra and Neal Schuman at Alpine. Guerra recalls talking with Thomas before the Championship: “It wasn’t close. Jeff shot 295 and I shot 299. Before the tournament, he told me 300 would win. Jeff was super consistent. He was never really out of any tournament, and he had a nose for how to win,” said Guerra, a former PGA Professional and longtime sales representative in New Jersey. Thomas would go on to win the 1987 (Beaver Brook), 1988 (Twin Brooks), 1990 (Hominy Hill), and 1991 (Spring Brook) NJSGA Amateur Championships. In 1994 at Panther Valley, he trailed by seven strokes entering the final 36-holes, making up four strokes in the final round to best fellow Hall of Fame member Bob Housen by one stroke for his eighth NJSGA Amateur title. It would be the final chapter in the storied Thomas-Housen rivalry that spanned parts of three decades while both were perennial contenders. Housen won six NJSGA Amateurs between 1978 and 1993, Thomas’s eight titles came between 1981 and 1994. “I knew Jeff well. He was very, very competitive. He was a smart golfer who did the best with what he had. If you weren’t at the top of your game, you weren’t going to beat him, said Housen. “He had one style of play: Every shot he hit with a draw. He had the nerves of an assassin. He never lost his cool and did it his way. When I served as Captain for the NJSGA’s Compher Cup teams (versus the Golf Association of Philadelphia), I let Jeff do whatever he wanted– and he’d beat their best guy. Jeff had a lot more talent than he thought he had. He undersold himself,” Housen said. Along the way, Thomas competed as often as he could locally and nationally. On the local front, he won the first of two NJSGA Mid-Amateur titles in 1991, adding his second in 1993. Later that season, Thomas would cement his place in local history when he won the U.S. Mid-Amateur Championship at age 34, becoming the first public links player to win the title. The victory enabled him to become the first New Jersey amateur to be invited to the prestigious Masters tournament. For Thomas, his experience in the 1994 Masters afforded him the opportunity to walk the fairways of Augusta National Golf Club with some of the kings of the game. He played in the Par-3 tournament with Craig Stadler and Jerry Pate, one day after playing a practice round with Arnold Palmer. 1996 was another banner year for Thomas. He won the prestigious Sunnehanna Invitational in Johnstown, Pennsylvania, which he believed was his greatest achievement. Played over 72-holes of stroke play, the Sunnehanna has perennially drawn the top amateurs from around the country since the 1950s, boasting champions – past and present – of great stature. At the time, champions included Billy Andrade, Scott Verplank, Brad Faxon and Ben Crenshaw; Rickie Fowler and Webb Simpson are two of the most notable champions to win the event since. For Thomas, the Sunnehanna was the crown jewel of his collection of invitational titles; he also holds the Mid-Atlantic Amateur, Havemeyer and Travis Memorial Invitational titles to his name. In honor of his 1996 accomplishments, Golf Digest named Thomas the eighth-best amateur in the country; a year in which Thomas estimated that he traveled more than 50,000 miles – competing in events in Paris, Mexico and Hawaii. In 1997, Thomas relocated to Jensen, Florida, where he continued to play competitively on the amateur circuit while he considered a run at the Pro Tour. Later, he moved to the Hobe Sound area, where he caddied at McArthur Golf Club in the early 2000’s – and won the club’s caddie tournament. Jeff Thomas passed away in Hobe Sound, Florida, at the age of 44 on July 30, 2003. He left behind a legacy of championship records that are certain to stand the test of time.